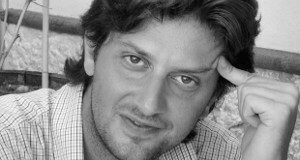 Stelio Verzera is passionately curious, fond of value creation and lean thinking. He is an Entrepreneur, Coach, Consultant and Advisor in different scopes of Innovation. Since 1995 he’s been supporting organisations in their understanding and navigation of key evolutionary phases. His agile approach of continuous improvement has led him to learn and apply some of the most effective practices for surfing complexity, both on the strategic and on the operational levels. Adaptive Organisations Design, interview with Paul Tolchinsky. Business Model Canvas combinato con LEGO® Serious Play®: come e perché, interviewed by Alberto Brandolini. Read the interview with Stelio Verzera on our blog: In cosa consiste il metodo LEGO® SERIOUS PLAY®?